Students from Wright State’s chapter of Engineers Without Borders spent their spring break in Uganda working on a sanitation project. 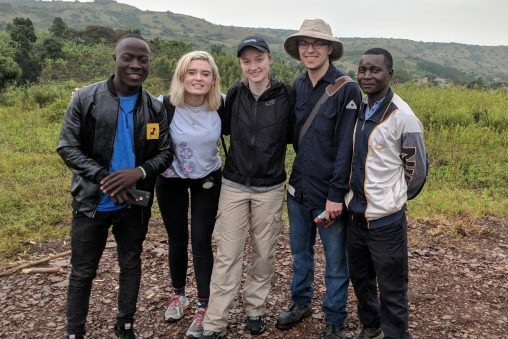 The trip was the first of many that the students will make in an effort to rebuild and modify the sanitation stations of a school in Kabingo, Uganda. 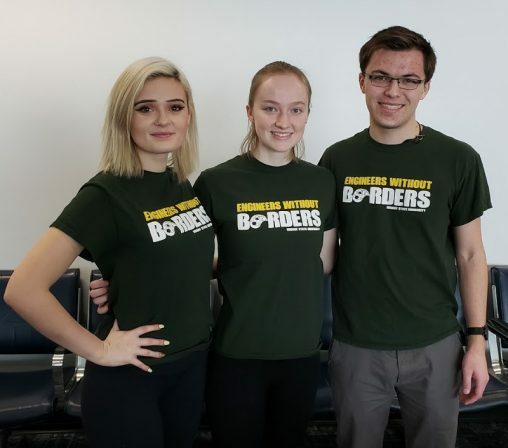 Participating in the service project were Jackie Smith, president of the Wright State Engineers Without Borders; Riley Croghan, vice president; and Sabrina D’Alesandro secretary. They visited the St. Bakhita Secondary School to assess the needs of the school and the community. The school has several latrines, as well as separate washrooms for girls and boys. However, one of the latrines is unsafe and has several stalls and portions of the walls that have collapsed. The school does not have hand washing stations, which prevents the students from having good hygiene. While they didn’t begin any labor on the most recent trip, Engineers Without Borders hopes to return during the spring of 2020 to begin building a hand washing station for the students. On subsequent trips, the Wright State students will remodel and fix the stalls of the latrines, remodel the boys restroom by covering the top and fixing drainage issues and rebuild the abandoned latrine. The engineering students also assisted Engineers Without Borders USA with a project that endeavors to bring water to Kabingo. They worked on measuring the angle of concrete slabs that would transport the water and evaluated how water could be transported to the school. Members of the Wright State chapter of Engineers Without Borders, from left: Sabrina D’Alesandro, Jackie Smith and Riley Croghan. Engineers Without Border Wright State is raising funds for future trips and projects.